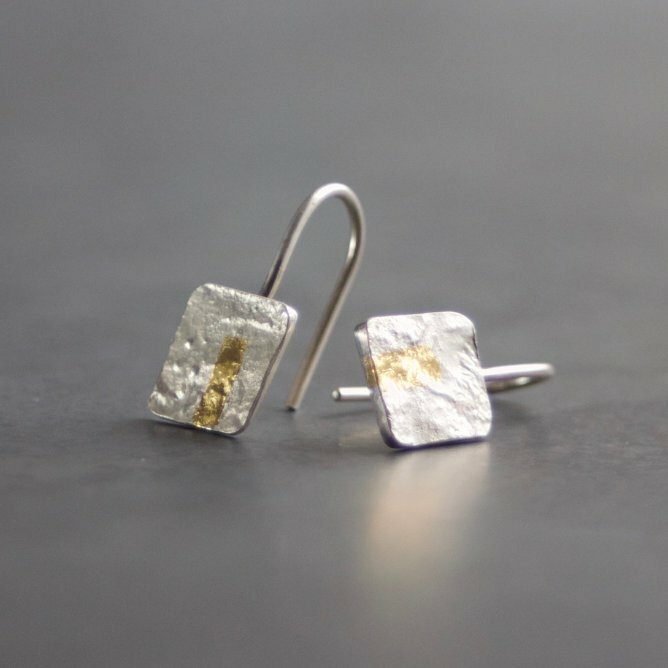 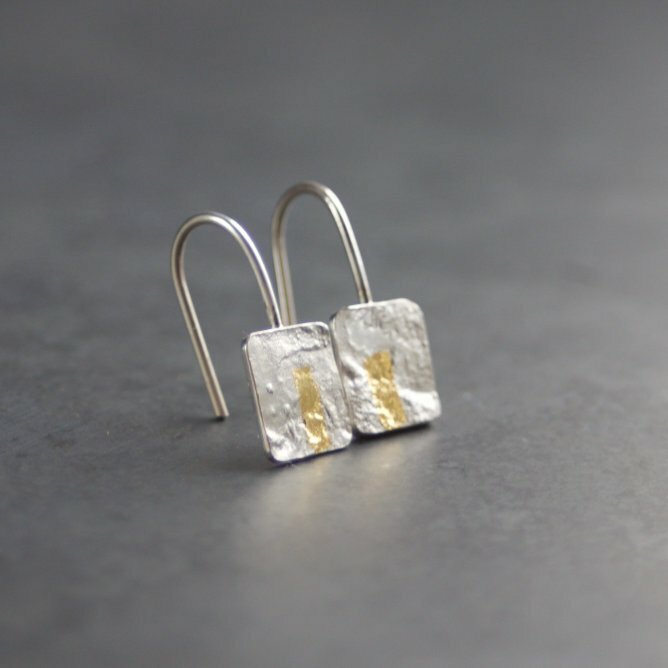 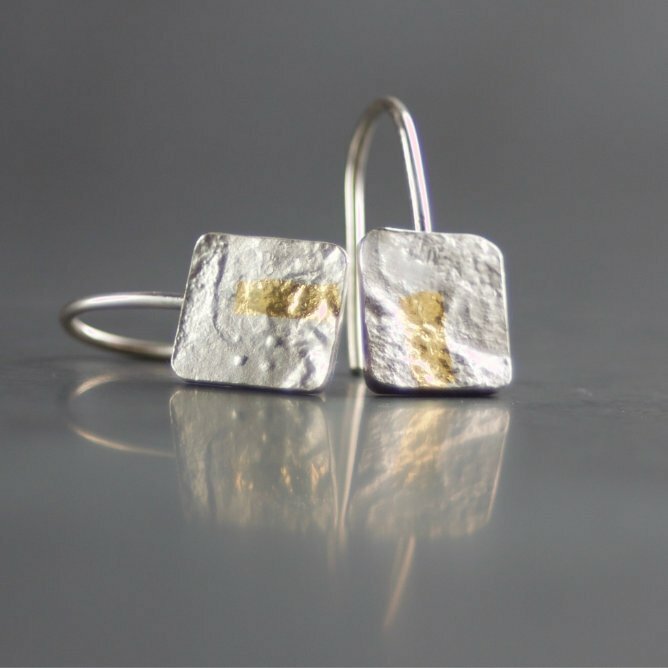 These handmade, textured silver and gold square drop earrings are discreet enough to wear everyday, while also having a highlight of gold to add that little bit of luxury. 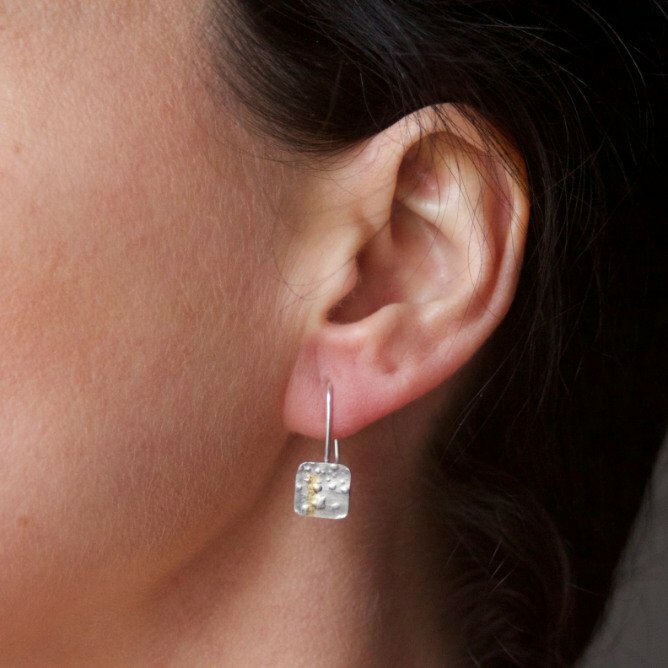 These square-ish drop earrings have then been polished and burnished around the edges to give a high shine. 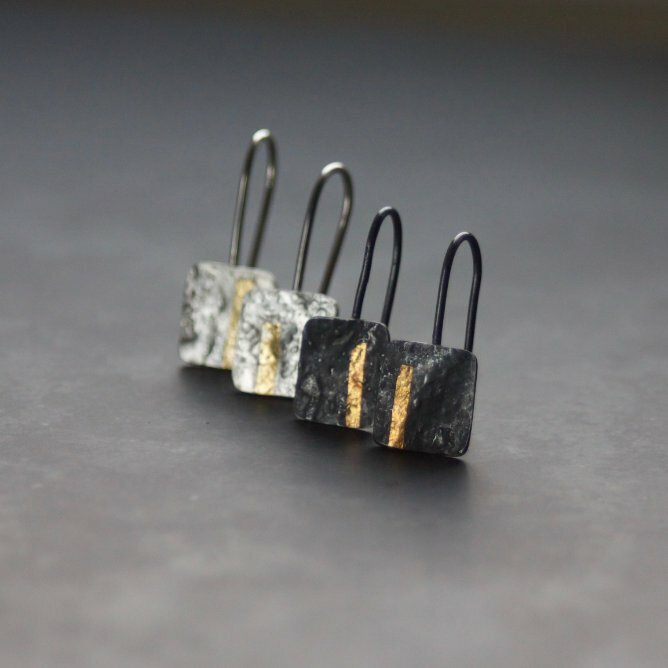 Oxidised versions also available here.